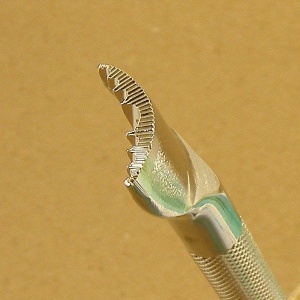 This is a Veiner tool, which is often used to add natural looking texture to plant based carving and tooling projects. It's also used extensively for scroll work 'paisley' type designs. The length of the tool is 16mm and the width is just 2.5mm at its deepest.